This Wednesday, Mary Kay from Out and About in Paris takes us to the newest shopping centre in Paris, Beaugrenelle, which even has a Marks & Sparks; Daisy de Plume from THATlou Treasure Hunt at the Louvre whom I will be joining on the evening of October 30 for her Death Hunt, introduces us to the Dance Macabre; while Genie from Paris and Beyond, who has a photo blog about Paris, takes us to the famous Rue d’Aligre. Enjoy! My neighborhood isn’t trendy like the Marais, exclusive like Saint-Germain-des-Prés or charming like Montmartre. It’s a residential area that attracts families who need an extra bedroom rather than hipsters who want to be close to the newest, latest, hottest spot in town. 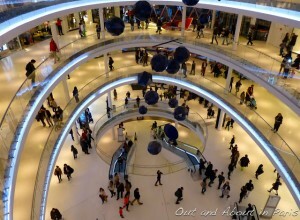 But thanks to the opening of Beaugrenelle Paris, my part of town is on the “must-see” list of Parisians this week. by native New Yorker Daisy de Plume, who has lived in Paris for nearly a decade and created THATLou to share her passion for art and her unique approach toward making the museum experience fun and accessible to all. by Genie from Paris and Beyond, who lives in Mobile and has loved Paris, its people, its architecture and all of France since she was eight years old. She has a photo blog about Paris and occasionally other places in the world. Taken on a busy market day (Marché d’Aligre), there is scant room for café table and chairs. Still, the pastries and a coffee (or thé) can be enjoyed as the market vendors shout out the quality of their wares. One thinks that the price of the coffee and pastry is small for this front row theatre seat. 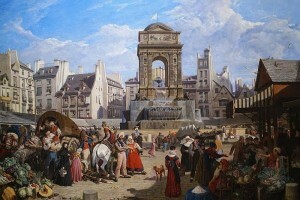 Click here to see the photo which I haven’t reproduced as a small photo would never do justice to the original. 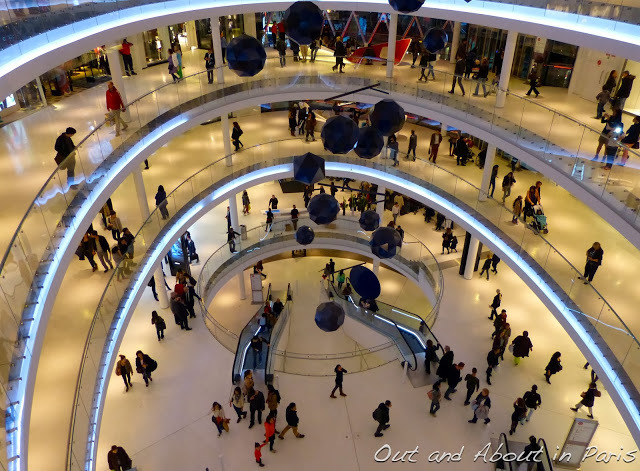 This entry was posted in Art, Paris, Photography, Wednesday's Blogger Round-up and tagged Beaugrenelle shopping centre - Thatlou treasure hunt, rue d'Aligre. Bookmark the permalink. You’re an angel to include me on your blogger round-up. Thank you very much. Am Uber excited that you’re joining in the schenanigans tomorrow night, I think we’ll have fun! And by the way I saw your comment on Mary Kay’s Beaugrenelle post appreciating Marks + Sparks – for tomorrow night’s hunt you’ll be teaming up with the PM responsible for M+S’s return to France!! Oh, what a funny coincidence!